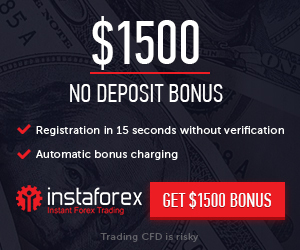 $10 No Deposit Bonus on all Micro account (Russian & Ukraine), Try it in action!Free 10$ to each account , Trade on a real account without investing a penny,. Participants of the action can only be new clients of the company, first registered Personal account during the promotion period. 1.1 Dates of action from September 2013.